I was so taken in by this book, that when I was finished reading it I went straight to Wikipedia to get even more out of Daniel Boone’s story, and the history of some of the other individuals involved in it. Not only was it a wonderful telling of the events of the first half of his life, it was also a probing and deeply emotional look at his life as a man in the mid-18th century. Daniel Boone’s exploits into the American frontier have made him a folk hero, a legend of his time. When reading about Daniel Boone in Wikipedia, we learn about his pioneering, his exploits into the frontier, his battles with the Native Americans. 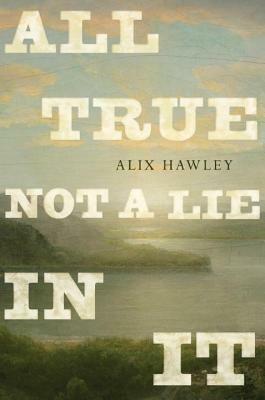 But, when reading Hawley’s novel about this famous legendary man, we hear his thoughts, experience his self-doubt, and feel his anguish, while marveling at the wondrous life he lived. I sit and have a little dream of all my boys and girls with land enough, and beautiful land when I am gone. They will be entirely free. This is all anyone could wish for the future. The dialogue throughout the book felt authentic; the thoughts in his mind, as well as the dialogue between himself and others, including the Native Americans. Boone is able to maintain a sense of humour throughout all his ordeals, hardship, and grief. His experience as a captive of the Shawnee also felt right (not that I was there…). The customs of the people on both sides were fascinating, and, at times, his experience with the Shawnee reminded me of The Orenda. You whites. There is never enough for you. Never satisfied. that is your greatest trouble, you ought to know it. I also found fascinating the relationship with his family and his wife throughout the book. He was close to them, yet he longed to be gone, in search of paradise. There was no way to keep in touch, no way to know whether he was dead or alive, or when he would be back. Daniel carried his family and the ghosts of his dead loved ones with him, but when he was gone a long time, their “realness” faded away. Particularly when Daniel is with the Shawnee, we get a sense of him feeling torn between two lives; his new life with the Shawnee, and his old life at the fort. He doesn’t even know if the fort is still there or if any of his family is still alive. For so long I wanted not to think of you and the rest. Now you are all I can think of. One thing I did wish for in the book was the point of view from his wife, Rebecca. It would have been nice to have the perspective of Rebecca’s days at home with the children, waiting for Daniel to come back, wondering if he is even going to come back. I also wondered what it was like for them waiting at the flimsy fort in Kentucky, living in fear of being captured by the Natives, running low on food, wondering what ever became of the men who ventured out to the salt lick. But, that would probably be a whole other book. I thoroughly enjoyed my adventures with Daniel Boone, right down to the last few devastating paragraphs. He may have led the kind of life that makes history, but, in the end, I think he was just a man who wanted a good place to call home. He spent his life chasing after what he wanted, while the ghosts of his past chased after him. I have no answer. I never have had it… I have nothing for anyone, I bring only disaster. If one could know what was coming, would one want to see it, or would one avert one’s eyes and carry on? * Thank you to the publisher for providing me with an ARC of this book. This does affect the content of my review. All quotes in this review are taken from an uncorrected proof. I absolutely love books that makes you want to do more research on the topic or the subject it was written about! Me too! I itch to get googling, but try to make myself wait until the end, in case I end up seeing a spoiler for the book. This kind of book also makes me think of all the endless possibilities for writing about historical figures. We need some more good ones! “The dialogue throughout the book felt authentic; the thoughts in his mind, as well as the dialogue between himself and others, including the Native Americans.” I agree, Naomi. Nothing in this book feels forced. Everything feels authentic, especially the dialogue. Loved every second of this book. ALSO: Alix Hawley is currently writing the sequel!!! Yay! And, hooray for the sequel! Ok, I really think I don’t even have to read your reviews anymore. I can just put the titles of your books straight onto my wish list. This one sounds wonderful, especially since it fits right into my favorite historical time period. I like the title of the book, too. This one really was such a fun and interesting read. I really like books about frontier living and agree it would have been so nice to get the perspective of his wife. How did she survive being along with the kids? What did she think about all of her husband’s fighting? Ooh, a baby while Daniel was gone. How could the author not tell us what happened? We eventually know who, but we don’t know under what circumstances it has taken place. And, I know that if someone wrote about it that it would be fiction, but it would still make a good story. Just wanted to let you know there’s a typo in the line “His story is about trying to find paradise, and about what happened when he brought about his ruin.” It should read “its ruin.” Thanks! Good to know! I’m looking forward to it! I wouldn’t think Daniel Boone would be my subject area, but this one sounds interesting. I wouldn’t have thought so either. I really didn’t care much about him before reading this book. But, knowing that I like pioneering-type stories, I decided to give it a try! One thing I kept thinking the whole time I was reading it, is that it would be hard to be in any of their shoes. No one was ever safe at any time. If their wasn’t fighting and raids going on, there was illness. It made me glad to be here instead of there. This is on my TBR as well, and I’m encouraged by what you’ve had to say. Although I might not think it true if I’d read the whole novel, from just these glimpses, I am struck by a number of a parallels between this character and Matthew Sweetland, but perhaps more in terms of theme than specific experiences? Yes, I can see that, except that Sweetland wanted to stay put in a place he felt at home, while Boone was forever looking for his paradise. DB has always been one of my favorites. He is buried in St. Charles, Mo just outside of St. Louis. We used to take the girl scouts to his home on field trips, when my daughter was in school. Since writing this review, I have heard that Hawley is writing a sequel. Hopefully it will take us right up to how he ended up buried in St. Charles, MO. Thanks for commenting!